Cowley Road is also the main shopping street of east Oxford, and in the evenings it is the area’s main leisure district. 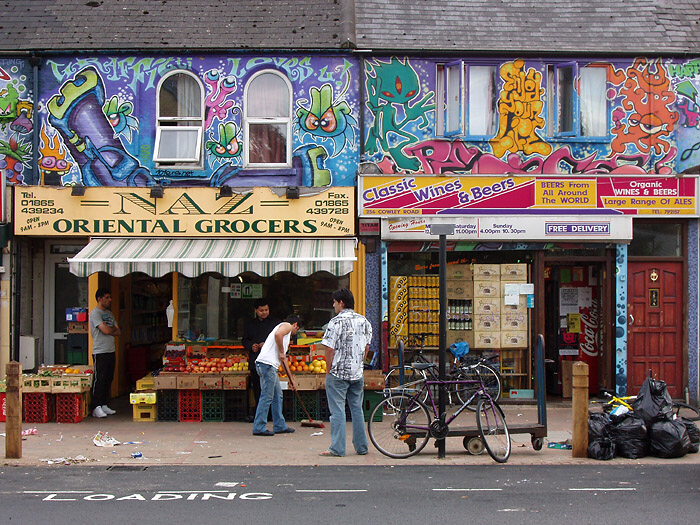 Cowley Road has an ethnically and economically diverse population. This includes significant, long-standing South-Asian and Afro-Caribbean communities, who have been joined more recently by East European, Chinese and African arrivals. Alongside these ethnic groups, East Oxford plays host to many members of the city’s academic population, both undergraduate and academic staff, and is home to many politically active groups. Hence it is the perfect setting for crime and mystery.